Claire Bloor looks at the prevalence of epilepsy in dogs, as well as diagnosis and treatment developments to help VNs advise clients and patients. Cheryl Ramsbottom discusses the transmission routes, clinical signs and diagnostics associated with rabbit haemorrhagic disease virus – and its emerged variant. Dan Skeldon provides a comprehensive guide to the wound-healing options available to veterinary nurses in practice. 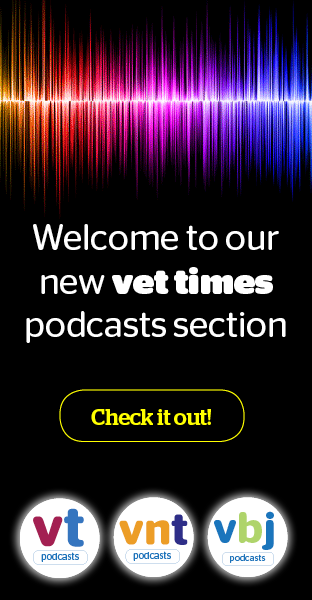 Samantha Thompson looks at the impact hyperthyroidism has on canine and feline patients, as well as management options and how VNs can increase owner compliance. The use of antibiotics and probiotics in acute and chronic diarrhoea in small animals is controversial. Even the correct definition of a probiotic in the context of veterinary medicine can be challenging. Get the latest independent information canine rickettsial diseases, tick-borne diseases that multiply within circulating cells. Emma Gerrard looks at the aetiology, investigation and treatment regarding FLUTD, as well as the vital role nurses can play in educating owners on prevention strategies. For owners who wish to travel with their pets, several animal threats exist. Systemic inflammatory response syndrome (SIRS) is an exaggerated inflammatory condition that can start from a local source, yet becomes widely systemic. Parasite prevention is a huge part of veterinary nursing. It is important to understand life cycles and treatment protocols to ensure clients and their pets receive the correct information. Lynne Kerrigan offers key tips VNs should share with new owners of these pets to ensure their health and welfare needs are met. Ariane Neuber discusses the aetiology and treatment methods of various allergic conditions that often present in dogs and cats. Lynn Irving describes common conditions that can lead to immunocompromised horses, including prevention and treatment advice. Emma Archer focuses on a nurse’s role prior to, during and after a patient is anaesthetised, from appropriate premedication to supervision tools (part 1/2). Emma Gerrard explains the usual causes of vomiting in cats and dogs to equip VNs with useful knowledge when performing triage.